Engreen has spread its wings into Green Energy arena with a far-reaching mission “Nurture Nature’s Power” of the country through fostering renewable technologies and mitigating the challenges of Going Green with innovative solutions. 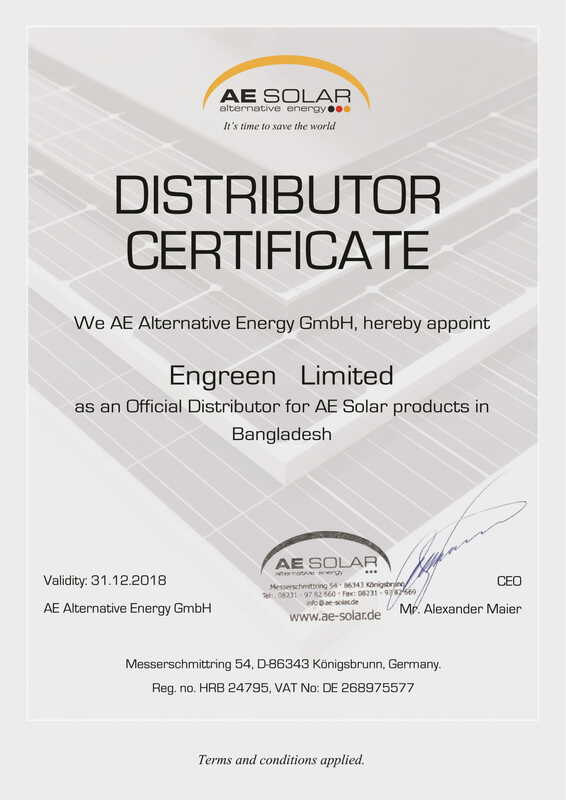 Currently Engreen is one of the leading ESCO (Energy Service Company) of Bangladesh, emerging every day towards its mission with a committed vision “Energizing Green”. Engreen has manifold several optimized green energy choices for MNOs (Mobile Network Operators). These solutions unveil opportunities for MNOs to Go Green cost-efficiently in their BTS Sites located in off-grid, bad-grid/unreliable-grid areas. Engreen has completed and maintaining several Solar-DG hybrid solutions for one of the Leading Operators “BanglaLink” as a strategic partner of their GREEN BTS Project, with a vast scope of feasibility survey, solution, design, purchase, installation, testing and commissioning. This project is under OPEX (PPA) model with 10 years term where Engreen is responsible for all power issues including O&M with the KPI target of 100% in all regions of Bangladesh. Engreen also provide complete Solar and Other renewable solutions for Private, Home & Govt. sectors to cater the rising demand of Renewable Energy Systems including Wind and Biogas with a target to be the market leader in Bangladesh renewable sector. Our far reaching mission “Nurture Nature’s Power” is to become a responsible and good corporate citizen of the society rather focusing on profit only. We conduct our business with an uncompromised vision, to “Energize Green” resources of this country through mitigating the challenges of Going Green. Encourage : We encourage to learn and develop competency. Endeavour : We endeavor towards exceeding the targets. Energize : We energize green resources through excellence. Engage : We engage employees in all activities and decision making. Enjoy : We enjoy to work together to win together. Enthusiastic : We are always enthusiastic in going green. Enrich : We keep enriching our customer centricity and quality. Job Completion Certificate 3.3 MWp Engreen Sharishabari Solar Plant Ltd. The limited grid infrastructure in the last mile of Bangladesh has led us to form our renewable venture “Engreen” as high renewable potentials are there to explore. We are successfully implementing Solar Hybrid solutions for off-grid BTS sites of Mobile Network Operators in order to reduce dependence on diesel power, to minimize their cost of O&M and to ensure 100% network uptime with our uninterrupted green power supply round the clock. Within this short span of time, we have strongly positioned ourselves in mitigating the challenges of Going Green by getting the basics right, which to us is introducing the Cost Efficient Renewable Technology & Solutions. As a token of rewarding of the success, Worlds’ biggest Association for GSM Mobile Operators “GSMA” enlisted our company profile in their Vendor Catalogue. We aren’t limiting ourselves by doing the projects on enabling mobile beyond the grid rather we always drive to excel in other renewable energy arena like Grid-Tie Solar, Mini Grid Solar, Solar Pump, Wind, Bio Gas, so on & so forth with cost efficient technologies. Green energy or renewable energy or sustainable energy, no matter which form we may call them, we need to make sure such energies to be in synergy and be in a reasonable proportion with the existing power generation. Therefore, Govt. need to take giant steps to meet their Renewable Energy Targets of 2015 & on wards, by bringing more MW range green energy projects with a reasonable amount of energy-mix of Solar, Wind, Biogas etc. We are hopeful to have a better future in energy here in this country as the Govt. has taken a number of projects to secure uninterrupted power supplies for all with a target of touching the total generation to 24,000MW by 2021, when Govt. intends to turn this country into a 'middle income nation'. To reach this paramount target of additional 14,000MW electricity, orchestrated effort is needed from the Govt. and Private Organizations. In particular, we the green energy industries are no longer able to ride only on the strength of our own funding unless otherwise the Govt. & Foreign Developing Partners come forward. At the same time, the proper policy support & good governance should be in place right from the beginning so that any issue can’t put a dent to reach the target or make the growth stagnant. Being a green concern organization, profit is not our prime consideration rather we thrive for doing something to save the environment by reducing GHG emission and that’s why we proudly embedded our mission statement “Nurture Nature’s Power” within our logo, to confidently showcasing our true intention of becoming a responsible corporate citizen of the society. 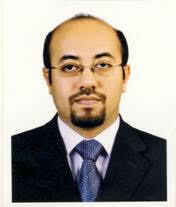 I am always optimistic to have an exciting future for Engreen with the support of my all stakeholders. As the Co-founder and Chief Executive Officer of Engreen Limited, I have had the privilege of founding and currently operating this venture. Basically, our green initiative was started with the Solar Power Purchase Agreement “PPA” Project (also known as “Opex model”) with a leading Mobile Network Operator (MNO) “Banglalink” in 2011 and already our geo footprint has spanned across all divisions of Bangladesh. We have grown ourselves at a dazzling speed from a small company to leading RESCOs (Renewable Energy Service Companies) of Bangladesh that has close tie with many globally reputed renewable energy product manufacturers from USA, Germany, Sweden, France, Denmark, China etc., which have made us superior in terms of quality Solar PV/ Panels, Inverters, Batteries, Charge Controllers etc. We have also formed Strategic Partnership with few more Private & Govt. Organizations including Research Institutes for their Green Power Projects. We have successfully completed a land mark grid-tie Solar Project with German made PV panels & Intelligent Inverters for our customer “Bangladesh Jute Research Institute”, the internationally acclaimed Research Institute for Jute. Now we are in process of opting ourselves into many other green technologies in the arena of Solar PV, wind, bio gas etc. funded by IDCOL. Specially MW range solar firms, distributed solar systems (mini grid), solar irrigation pumps and SHS (fixed) are in the list of our recent offing. Our prime focus is to transform Engreen from just a RESCO to an Environment Concerned Organization through embody our mission “Nurture Nature’s Power”. As of December, 2016 with our total installed solar systems we can proudly claim that we have reduced CO2 emission of total 1,442.5 ton which is equivalent to a forestation of 1,404.26 Acre or removing 366 no.s of car from the road and the counting is going on. This achievement bears testimony to the Brand Engreen’s journey from a small brand to a Green Brand within a short span of time. To promote renewable or sustainable green energy here in a developing country like Bangladesh, we must consider offering the cost efficient products & solutions to tap the large chunk of rural customers who are highly price sensitive. In macro perspective, this country has very high renewable potentials since the Grid Electricity Access in Bangladesh is around 40% only. As per the National Renewable Energy Policy, Bangladesh aims to produce total 800 MW from renewable sources by 2015 including 500 MW from Solar energy. Since at present the power generation from renewable technologies including solar stands less than 400MW, this is the high time for private organizations like Engreen & others to place their combined effort to achieve such paramount aim to generate the additional 436MW. We the green energy industries are no longer able to ride only on the strength of our own funding unless otherwise the Govt. & Foreign Developing Partners come forward. As an employer, we always focus on maintaining better corporate ethics here in our organization. We the Management Team always invest an ample time and resources in creating an professional and working friendly environment where employees thrive and love to work, leading to a healthier working environment, closer bonds and enhanced operating efficiencies. I think Engreen have been able to come this far due to combination of passion for green, innovative business model, speed of execution, quality of people and customer centricity. However, I still consider Engreen as a youngest star of Renewable Energy horizon and looking forward to unfolding an exciting future with my highly passionate Team-Engreen.